UNT pride was on full display during Homecoming, which took place October 22-27 with the theme “Mean Green Game Show.” Student Activities, in collaboration with a number of campus partners including the Alumni Association, coordinated a week’s worth of Mean Green spirit activities for students, the community and alumni. 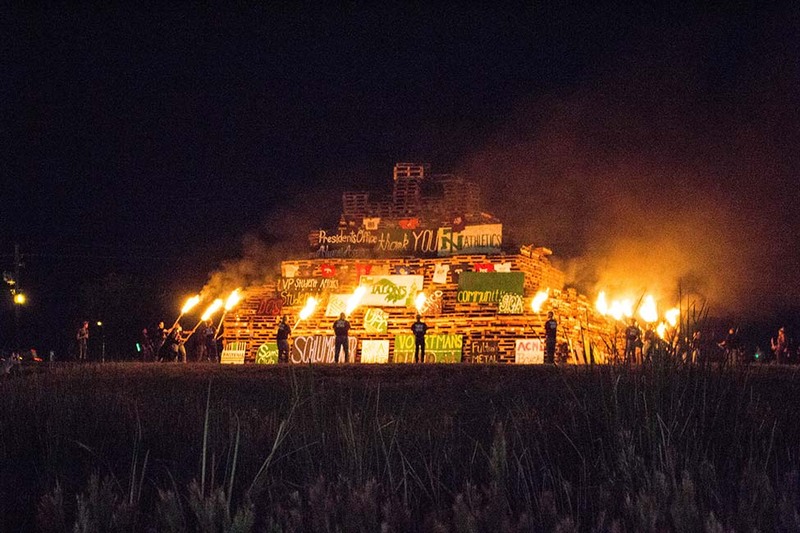 Approximately 12,500 attended events throughout the week. Several service opportunities also were offered and included: Rise Against Hunger, in which 20,000 meals were packaged to support the hungry in underserved countries and areas around the world; Tampon Donation Drive, in which 19,000 tampons were donated to the SGA initiative to provide free hygiene products in restrooms across campus; and Denton Animal Shelter Toy Making, in which 176 dog toys were made for the animals. 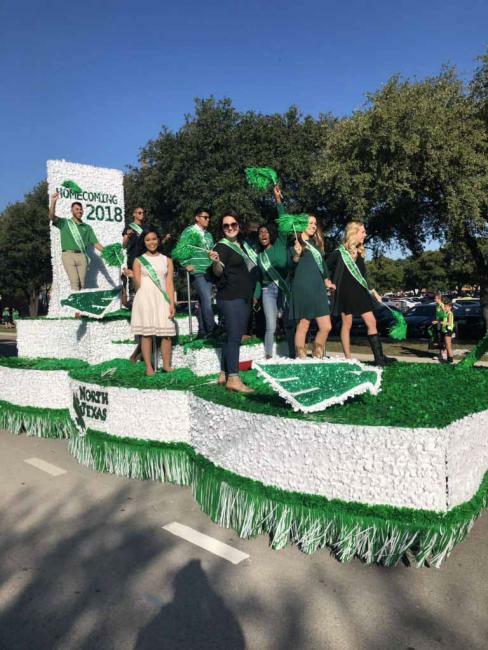 Homecoming concluded on Saturday with the annual parade, Greek Alumni Reception, tailgating in the Mean Green Village, Alumni Game Day Grille and football game against Rice University. Ashley Pickle was selected as the Royalty Winner. As such, she will be given $1,000 to implement her Campus Impact Project, an International Student Welcome Event at the beginning of the spring 2019 semester. For more photos from Homecoming 2018, click here.